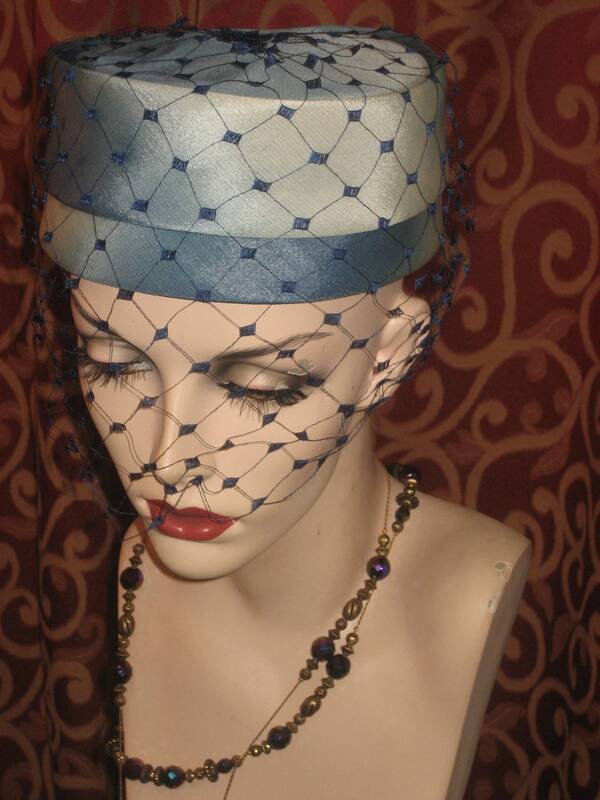 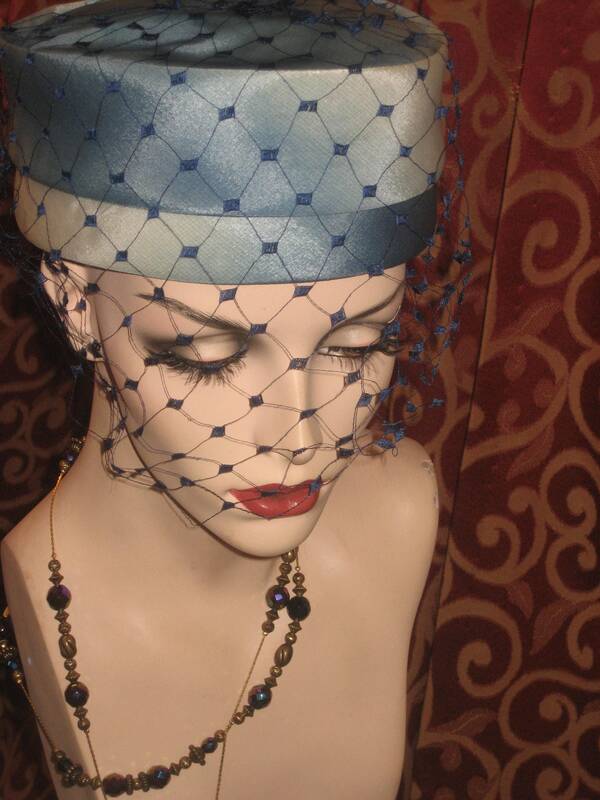 1960's, size 22, tie died waffled silk pill box hat, with veil, tie die colors range from white to dark blue. 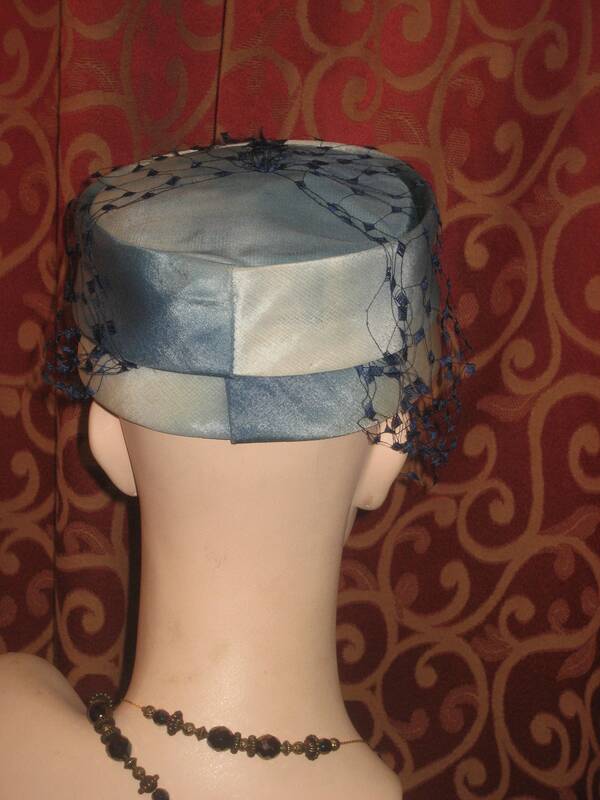 Hat has pleating around crown giving the illusion of double sided hat. 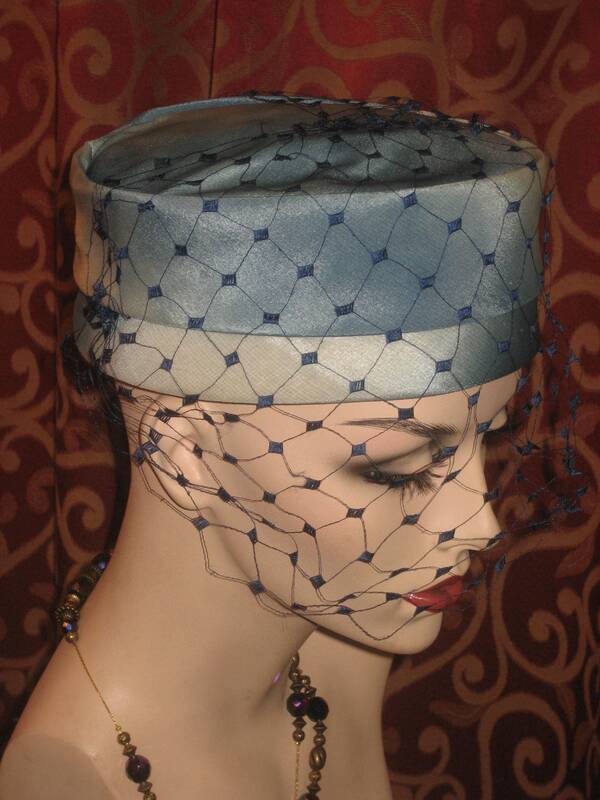 Blue groisgrain ribbon around interior of crown.